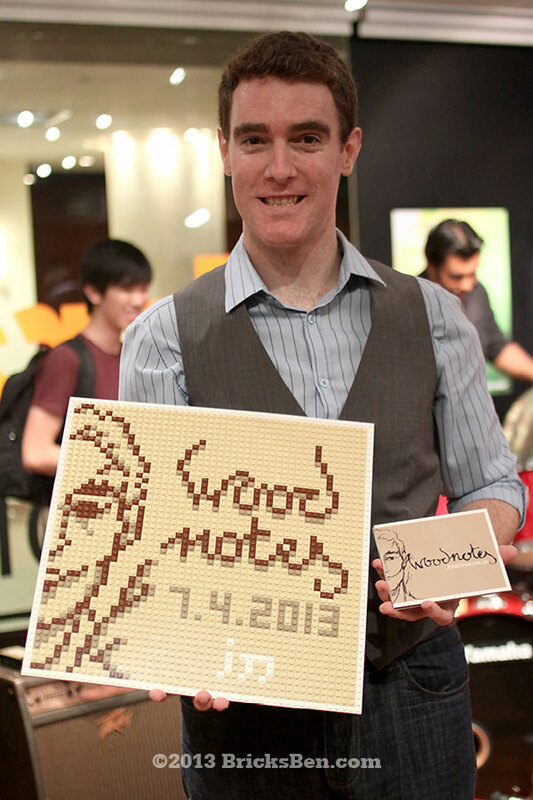 This mosaic was based on the album cover of Woodnotes, the debut EP by Singapore-based French-Mauritian singer-songwriter Jonathan Meur that was finally launched on 7 April 2013 – check out his music here, here and here. The album layout and design was done by none other than Benjamin Cheh of BricksBen.com! The mosaic took one hour and 2,305 pieces to complete. More Season’s Greetings: Chinese Knot, Fortune Bamboo, Lucky Pineapple, Ottawa Chair, Santa Sled and Snake Mosaic.